I’ll be out of town with my wife for our Ruby Anniversary until next Wednesday. I will be slow in replying emails during this period. 48RE has been private pilot for 24 years. Due to long working hours, he is sometimes difficult to find time to go flying the real thing and practice to keep sharp flying skills. 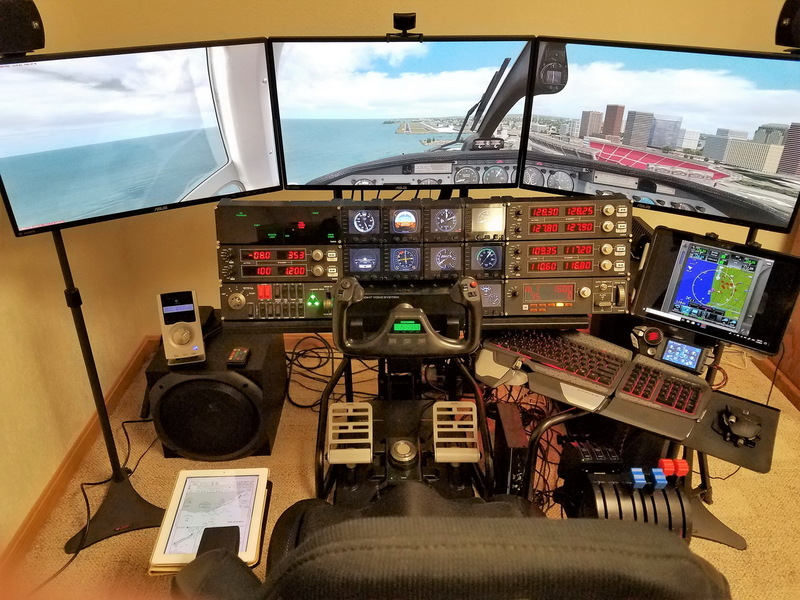 So more than three years ago, he built his own virtual cockpit to help keep current on his flying skills, especially IFR. He says that building the cockpit and programming everything to work as it should was as fun as flying it. Moreover, practicing IFR flights and instruments approaches on it is priceless.